Now that the fall season is officially upon us, pumpkin mania is back in full swing. Walking down the aisle of any grocery store this time of year you’ll notice an abundance of pumpkin flavored everything, from coffee to cereal and even protein powder. While these artificial flavors are mostly just sugars and syrups modified to taste like pumpkin, the real deal is jam packed with healthy vitamins and nutrients. The next time you’re on the hunt for the perfect jack-o-lantern, keep these hidden health benefits of pumpkin in mind and consider picking up a second to cook into a tasty snack! The bright orange hue of a pumpkin is one of its defining features, but it is also one of your vision’s greatest defenders. Pumpkins (like carrots) get their hue from beta-carotene, an antioxidant that converts into sight sharpening vitamin A. Vitamin A is a crucial nutrient when it comes to keeping your eyesight strong and clear, and the abundance of beta-carotene in pumpkins makes it a power player in protecting your vision. 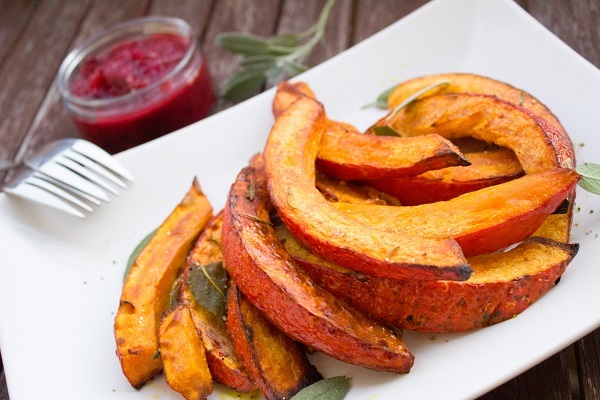 In fact, just one cup of cooked pumpkin accounts for over 200 percent of your daily recommended vitamin A! A candle might give a jack-o-lantern it’s trademark glowing gaze, but adding pumpkin to your diet will give your eyes that same glow from within. A sugary, whipped cream topped slice of pumpkin pie might be a diet deal breaker, but one of the many unsung health benefits of pumpkin is actually weight loss! A cup of pumpkin seeds alone contains 12 grams of dietary fiber, which accounts for approximately one third of the average daily recommended fiber intake. This is great news for those looking to stick to to their pre-holiday diets for several reasons. High-fiber foods curb your appetite because they take longer to digest, making your stomach feel fuller longer. In addition, fiber-rich pumpkins help to slow the rate at which sugar is absorbed into your body. An increase in blood sugar levels could trigger insulin production and lead to unwanted fat storage. Seeking out high-fiber snacks such as pumpkin seeds will help to keep blood sugar levels stable and your diet on track. Turkey might not be the only thing on the dinner table making you tired! Pumpkin seeds are full of tryptophan, the amino acid most famous for being the catalyst for many post-Thanksgiving dinner naps. On top of acting as a natural sleep aide, the tryptophan found in pumpkin seeds triggers the production of the neurotransmitter serotonin. Naturally mood boosting, serotonin is great for those concerned with improving their memory, controlling anxiety, and relaxing the mind before falling asleep. 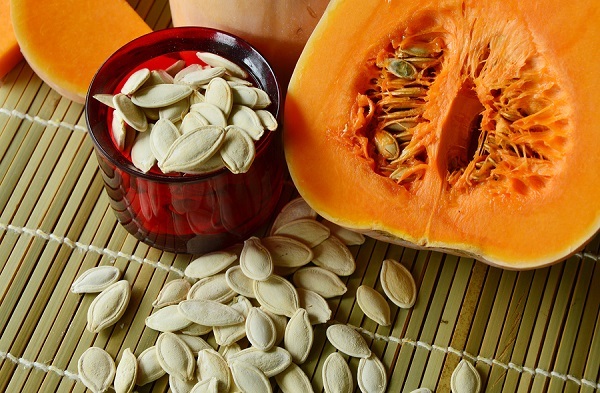 Sleep deprivation can be extremely hazardous to your health, but adding pumpkin seeds to your diet could be what your body needs to get back into a reparative, restful sleep cycle. One of the most important health benefits of pumpkin is that it keeps your heart functioning properly. Pumpkins – especially their seeds – are packed with phytosterols, a chemical found in plants which balances out HDL (“good” cholesterol) and LDL (“bad” cholesterol). Keeping your cholesterol levels healthy keeps your heart healthy, and puts you at a lower risk for developing heart disease later in life. If you are concerned about aging skin, get excited! One of the many health benefits of pumpkin is preventing fine lines and wrinkles. As mentioned previously, pumpkins are rich in beta-carotene which converts to vitamin A. This vitamin A triggers sebum production, which creates a layer of natural oils on the skin to prevent damage from harmful UV rays. Pumpkins also contain vitamins C and E, an antioxidant power duo that works together to protect against damaging free radicals while keeping the skin smooth and firm. 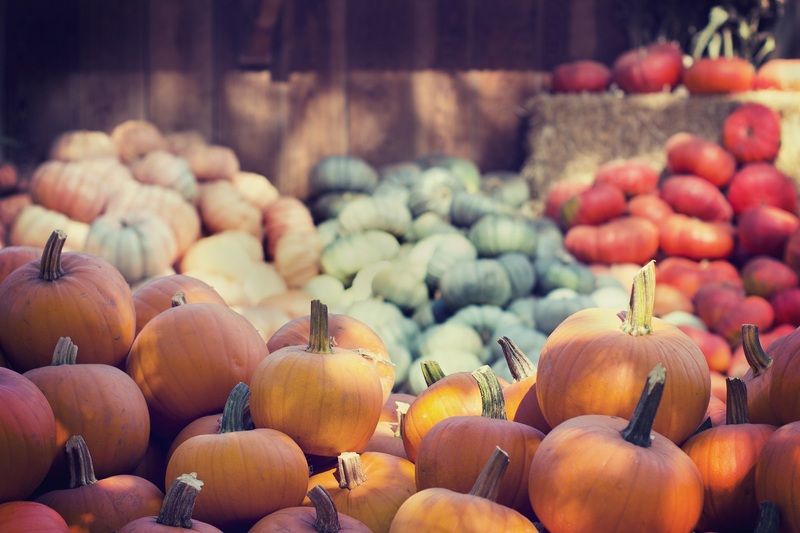 As if last month’s list of anti-aging superfoods wasn’t enough, it’s clear to see why pumpkins have earned their rightful recognition as a delicious skincare secret! Who needs artificial flavors and added sugars when there are so many hidden health benefits of pumpkin you’d find straight off the vine? This time of year is the perfect excuse to experiment with different pumpkin-inspired recipes, so roast up some pumpkin seeds or bake some pumpkin ravioli for a healthy, festive fall feast. Before making any major overhauls to your diet, it is important to first discuss with a functional medicine doctor who can work with you to create a diet plan best fit for your individual needs and concerns.